My baby won’t stop crying, why?! So many mothers have said this phrase, along with many others about their new baby. There is so much you need to learn when you bring a new little miracle into the world. One concern is when you have a baby crying after eating. How do you prevent or soothe a baby so they stop crying after they eat? The most essential part of parenting is making sure you figure out exactly what is wrong with your child, even if they are too young to talk, and what makes them feel better! The last thing you want is to get frustrated or feel that the crying never stops. You want to enjoy the precious first months of your baby’s life and have happy memories of this time. 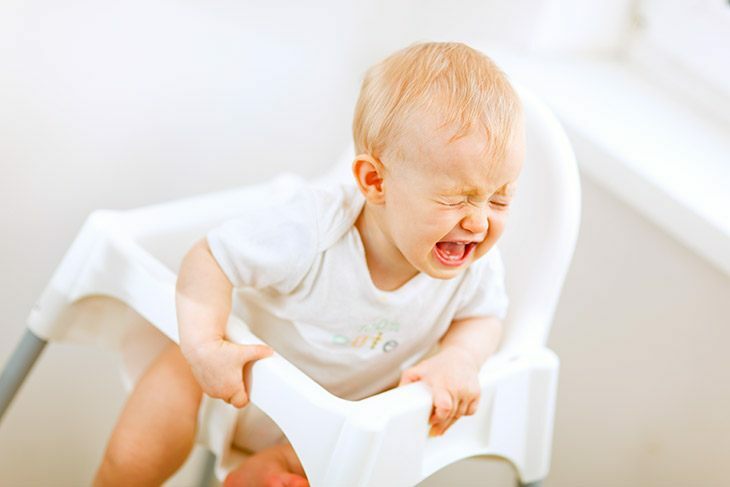 What Can Cause A Baby To Cry After Feeding? When a baby starts to cry, the first thing you may think is that they are hungry. However, when it happens after feeding, the big question WHY looms over you! What can cause this? Formula - If your baby is formula fed, they might have a reaction to the formula you have given them. Each brand and type are made up of different components and you may just have to test out some other brands or types that work better with your baby’s tummy. Gas – Babies tend to swallow air while they are feeding. When a baby is bottle fed, they are more likely to swallow air during a feeding and therefore, it can trap gas in their stomachs which would cause them to be uncomfortable. Even if your baby is breast-fed, they are still susceptible to swallowing air. Even though it won’t be as much possibly, this still can happen. Colic – If you have a baby less than three months of age and he/she is crying for at least 3 hours for at least 3 days, for over 3 weeks, then your baby has colic. It usually is more prone to happening in the evening hours. Some signs of this in a baby may be when they clench their hands, get a red face, or pull their legs into their chest. Acid Reflux – Another cause is a condition known as GERD (gastroesophageal reflux disease). In some infants, the muscle in the esophagus and stomach is not fully matured and therefore, the contents, at times, flows back upward. A few common factors that cause this are premature babies, a liquid diet, and lying flat. However, most babies cannot avoid some of these factors, hence why it happens often. Food Allergy – A hot topic with babies is food allergies; it is become much more common for this to occur. For a breast fed baby, certain foods the mother is eating could cause an allergic reaction in the baby. One of the most common is when a mother drinks milk or eats eggs. Now that we have narrowed down the list of reasons that our baby might be crying after a feeding, let’s look to see what solutions we can try out. Once we find the right one, baby will feel much better, and so will we! If your baby is formula fed, switching formulas might be the key to making your baby feel much better. Each baby has their own unique sensitive stomach and it might take a few tries to pair the perfect formula with your baby. If your baby could have food allergies, you can drop certain foods from your diet to test out which ones might be bothering your baby. Some doctors even recommend that mothers avoid certain foods altogether as a preventative such as dairy, eggs, corn, and greens. If your baby appears extremely uncomfortable after a feeding and may have discolored stool, you might want to speak with your doctor about this being a concern. The number one thing to do if your baby has acid reflux is to hold your baby upright, do not lay him/her down. After a feeding, you may need to hold your baby on your shoulder for up to 30 minutes. This will prevent them from having their food come right back up. Weight gain is essential at this age, and you want to make sure your babies food is staying in their belly. If your baby has gas, there are several ways to help. Similarly to acid reflux, keep your baby upright after feeding; they can relax on your shoulder while they remain in the upright position. Another way is to make sure to burp them gently from the bottom of their back all the way up. Sometimes you will need to rub in circular motions on their lower back, then move up their back continuing that motion to try and push the gas bubbles up! If that doesn’t work, give them a quick swirl around or lift gently to the sky to loosen up those bubbles. A baby with colic may have gas in their tummy, especially from crying so much. The more a baby cries the more air they are sucking in. If other symptoms occur, you might want to take your baby to the doctor to make sure there is nothing else going on such as a sickness or food allergy. In the meantime, what you can do is check if they need a burp, have a dirty diaper, need to sleep, want to be held, are too hot or too cold, are teething, if they may be in pain, or over/under stimulated. To try and calm them, you can rock your baby, sing a song, take them for a car ride, swaddle your baby tightly so they are snuggled in and feel safe, and/or play any type of music or repetitive noise. Hopefully you gained some insight as to why your baby might be crying after they are fed. Although we sometimes think that the reason a baby might be crying is because they are hungry, that is not always the case. If your baby, unfortunately, might be plagued by one or more than one of these causes, you will want to try to solve their pain and your frustration. 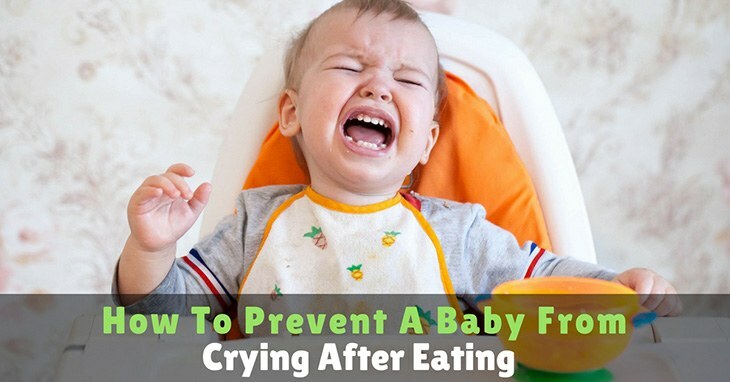 The easy ‘how-to solve’ why a baby is crying after eating in this article, should help and make you and your baby much happier. If you feel this article was a great help, please share it with other mothers!